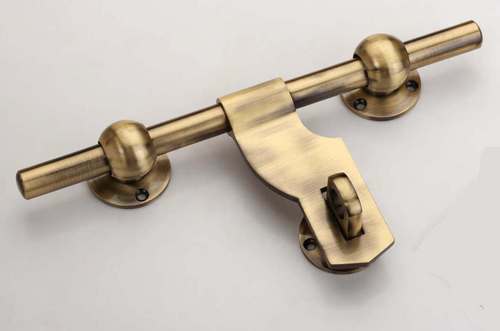 We are successfully engrossed in providing a wide gamut of Brass Door Aldrops. The provided aldrops are is made using best quality raw material and latest techniques by our deft professionals. The provided aldrops are available in alluring designs and standard sizes, in order to meet the varied needs of our precious clients. These aldrops are suitable for all types of doors. The offered aldrops are highly appreciated by our clients owing to its rust resistance and excellent finish. Founded in the year 1992, we "Gurukrupa Plywood" are notable firm that is instrumental in manufacturing and supplying a highly durable array of Wire Nail that include Steel Wire Nail, Round Wire Nail and Long Wire Nail. We are a Sole Proprietorship Company that is situated at Surat (Gujarat, India). This unit is divided into sub-departments such as R&D, transportation, admin, logistic, quality testing, marketing, procurement, manufacturing, sales, packaging, warehousing, etc. All these sub-departments are outfitted with the most up-to-date tools, machinery, devices and equipments and controlled by our deft and capable team members. In addition to this, we have been able to deliver these wire nails across the nation due to our excellent logistic facility and quick delivery. We are trader of Khushi Primium brand.